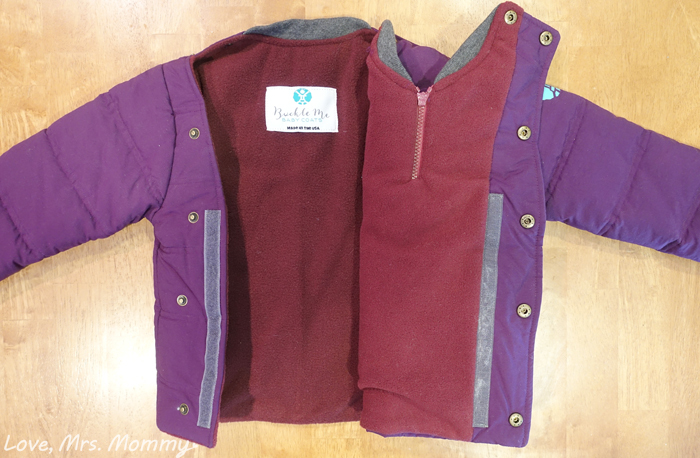 Love, Mrs. Mommy: Buckle Me Baby Coats Keep Kids Safe & Warm In Their Car Seats! Buckle Me Baby Coats Keep Kids Safe & Warm In Their Car Seats! I received this coat at no cost to facilitate this review. All opinions are my own. Brrr! Winter is in full effect and long gone are the days of leaving your house without a jacket. If you have a child, or are a caretaker, you know all too well the struggle with winter coats and your child’s car seat… They. Just. Don’t. Mix. 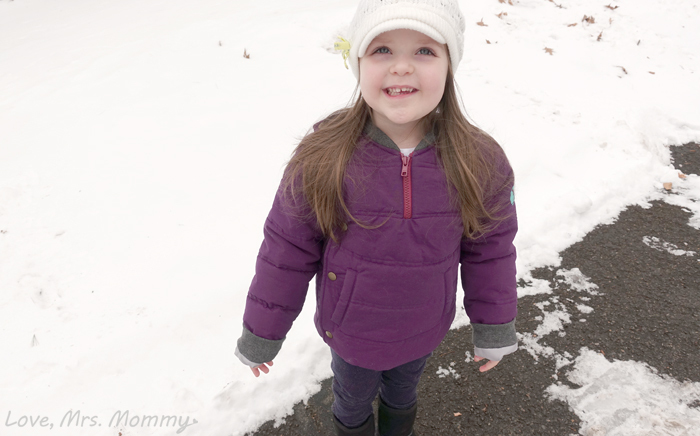 Winter coats are made to be warm, but aren’t designed with a child’s car seat safety in mind. But, that’s all changed now, thanks to Buckle Me Baby Coats (BMBC)! BMBC was founded by a New Hampshire mom of three who wanted the best in car seat safety for her kids. BMBC worked for many years on designing not only a car seat safe coat, but one kids and parents will love the look of! 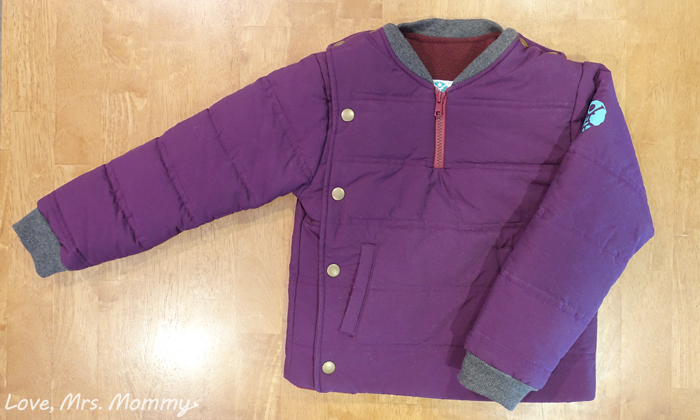 Their new, modern, and fresh design will make kids of all ages feel cool in this coat. Which, definitely doesn’t hurt! With sizes ranging from 12m – 8, your kids will be riding safely and in style for many years! We received the Indi-Go-Go-Go (purple-colored) coat, but they have so many awesome color choices, it was hard to choose! We loved them all! They also come in “Deepest Of Oceans” (blue), “Power of Pink” (pink), “The Orange-inal” (orange), “I Lava You” (red), and “The Warrior Within” (green). The sizing is accurately depicted on their website, as I double-checked it against the coat once it arrived. Gotta love that! *They also offer a 30 Day Return Policy & Free Shipping! Did you know that the American Academy of Pediatrics and the NHTSA have both issued a “No Puffy Coats in the Car Seat” rule? They did this because winter coats have too much fabric between the child’s body, shoulders, and safety harness. All this extra fabric compresses in an accident, which leaves too much slack for the harness to hold the child in their seat properly. Buckle Me Baby Coats designed their car seat coats with all the above in mind. Their car seat coat has a side opening, so they could remove the bulky fabric in the front of the coat and at the shoulders. This allows the harness to sit directly on the child’s chest and shoulders, which is very important for the harness to work properly. Another really genius idea, is that they designed the coat so that the padding in the back of the coat is thinner. This allows you to use the car seat with a no-coat harness setting! You can check out a video of how to use this coat here. Wondering if this coat has been crash tested?… yes, it has! Buckle Me Baby Coats extensively crash tested the coat to make sure that it worked and even had the coat evaluated by CPSTs! They loved it and BMBC passed all tests with flying colors! WooHoo! If you would like to see a video of their crash test, which shows almost identical results to a child not wearing a coat, you can do so here. If you couldn’t love these coats any more… guess what?! They are made right here in the USA in Everett, Massachusetts! With every purchase, you are helping to support child safety and jobs for workers in our own backyard! What an awesome feeling! Connect: Find out more about Buckle Me Baby Coats by visiting their website. Then make sure you “like” them on Facebook and follow them on Twitter. Buy It: You can purchase the coat featured in this review, and other fun colors, on their website! Love it!! So easy to use!! Since winters are so cold here we really struggle to find something perfect for the car seat! I am such a car seat safety freak. This is incredible. I will be sharing this with my mommy friends. Did not know such a coat even existed specialized for car seats. Good idea! Pretty looking coat. My niece would like it. With winter this is a very good article. Safety and warmth are both important to keeo in mind, and grandparents expecially have no idea.